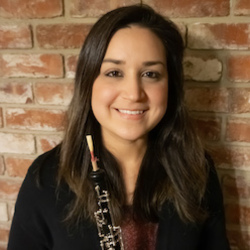 Crystal Bingen is an active teacher and performer of Oboe in the Sacramento Region. She began playing music at age 10, and has been playing Oboe since 2001. Growing up in a musical family, she knew that she wanted to pursue a degree in music and went on to receive her Bachelor’s degree in Music from CSU Sacramento. Crystal has performed in various groups throughout the Sacramento region, and is currently an active member of the Camellia Symphony. Crystal believes in tailoring her teaching to every student. Along with instruction on Oboe, she also offers lessons on reed-making.